If you’re a pet owner and are planning to travel this holiday season, you may be trying to decide whether or not your pet should come with you. While some pets have health or other issues that make options like staying with someone you trust or boarding a better choice than traveling, plenty of pets can travel just fine. Unless your pet hates driving, this form of traveling is generally quite simple. The main thing is to create a space in your car that’s both safe and comfortable for your pet. Depending on the size and temperament of your pet, some owners prefer using a carrier for the majority of their time on the road, while others prefer to utilize a barrier that gives a pet more freedom in the back but prevents them from jumping to the front. It’s also helpful to pack a small bag with everything from pet food to any medication your pet may need during the duration of the trip. Before we share our tips for flying with a dog or cat, we want to mention that the US Humane Society states that air travel can be risky for pets and recommends you weigh all the risks when deciding whether to transport your pet by airplane. Much of this stance stems from tragic experiences that occur when larger pets are placed in the cargo area. The risk of that type of air travel is part of why airlines like Southwest only accept in-cabin pets for travel. If you have a dog or cat under 20 pounds, most airlines will allow you to fly with them in the cabin. The average one-way price for bringing a pet with you on a flight is $100. Some airlines require you to pay in advance, while others ask you to make a reservation but will only accept payment when you check-in for your flight. One topic that comes as a surprise of many dog owners is the lack of easily accessible areas for dogs to relieve themselves at airports. Many airports require you to leave and then go back through security if you want to take your dog outside to the bathroom. So if you have a connecting flight and are only going to be at an airport for a short period of time, your best bet is to bring a potty pad and find a discreet spot inside the airport for your dog to relieve itself. 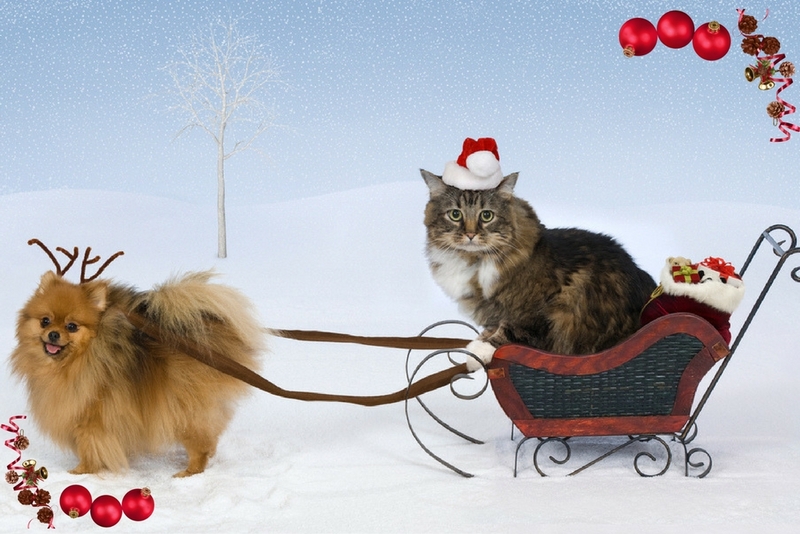 If you’ve previously traveled with your pet during the holidays and have other helpful tips, we’d love for you to share them with us through Facebook or Twitter!